Deviled eggs, also known as stuffed eggs, first appeared in American cookbooks in the mid-19th century, but the origin can be traced back to ancient Rome where eggs were boiled and seasoned with spicy sauces, according to the History Channel. 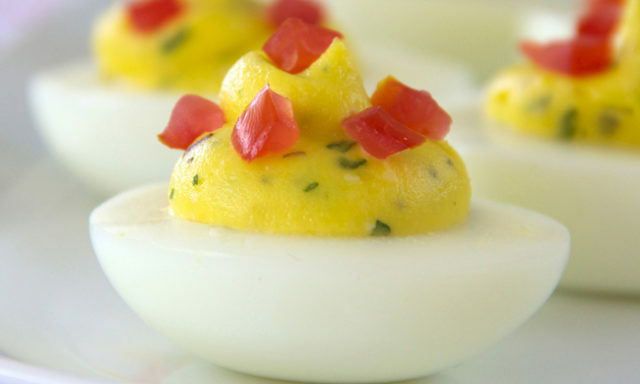 Today, deviled eggs are a staple during Easter, and according to the American Egg Board, more than 100 million dozen eggs were sold last year during the week of Easter alone. Family Features Editorial Syndicate Established in 1974, Family Features is a leading provider of free food and lifestyle content for print and online publications. Our articles, photos, videos and web content solutions save you time, money and help create advertising opportunities.